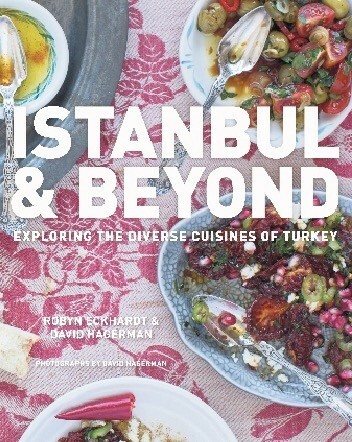 A collaboration by the dynamic duo, food and travel journalist Robyn Eckhardt and her husband and photographer, David Hagerman, "Istanbul and Beyond: Exploring the Diverse Cuisines of Turkey" offers readers the opportunity to explore Turkish recipes never before printed in English accompanied by mesmerizing photography. 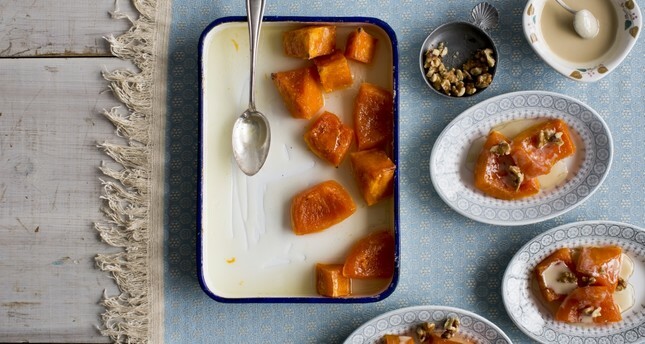 I had the opportunity to catch up with Eckhardt, whose work has been featured in The New York Times, The Wall Street Journal and Food & Wine, in the wake of the release of the highly anticipated cookbook. Both originally hailing from Michigan, Eckhardt and Hagerman have spent the past two decades exploring Turkey and the past five years documenting Turkey's regional cuisine. The delicious results can be found in their new release, "Istanbul and Beyond: Exploring the Diverse Cuisines of Turkey." I asked Eckhardt, who now lives in Italy with her husband after spending 20 years in Asia, how they discovered Turkey and its regional cuisine. Robyn told me they first came to Turkey in 1998, when they were living in Shanghai. They spent three weeks in Turkey, traveling from Istanbul to Bodrum and then from Konya to Antalya, Robyn said. "We fell in love with Turkey, its food and its people. And when we moved back to the San Francisco Bay Area eight months later, I started studying Turkish at UC Berkeley [University of California, Berkeley]," she said, adding: "Serendipitously, my Turkish teacher was Ayla Algar, who had written a couple of Turkish cookbooks." After returning to Turkey multiple times since, it was after a visit to the Black Sea region in January 2011 that they decided to do a book. "When we visited the Black Sea in January 2011, we were wowed by the food there and struck by how different it was from what we had eaten elsewhere in Turkey," Eckhardt shared, pointing out: "Dried corn, 'karalahana' - what I know as collard greens or something very similar - and fish form the backbones of the cuisine near the Black Sea, and it is a very different cuisine to what you will find in, say, the Hatay or Sivas provinces. So that is how the idea of a book about Turkey's regional cuisines came about - a desire to explore how topography, climate and history shape what people in different parts of Turkey eat." "We chose to focus on eastern Turkey because we wanted to bring to light the foods of places that not a lot of people visit or know. We wanted to show that Turkish food is so much more than kebabs, döner, baklava and the standard meze you tend to find in Istanbul," Eckhardt explained. While this is their first cookbook, Eckhardt and Hagerman, whose photography has been featured in The New York Times, Travel + Leisure and The Economist, have been writing about and photographing food since they started their captivating food blog "EatingAsia and beyond" in 2005. Named by Saveur as "The Best Culinary Travel Blog," EatingAsia, in short, provides recipes, reviews and guides for dozens of cities throughout Asia, as well as countries such as Turkey, where they have traveled. "Our focus has usually been markets, home cooking, ingredients, the history of dishes and producers. As a food writer, I am much more interested in knowing how the 90 percent eat than in how the 10 percent eat. David and I travel close to the ground and that's how I like to report a story - by meeting and spending time with the people who grow, produce, fish, farm and cook our food," she said. As a result, between January 2011 and May 2015 they spent about 16 months researching, mostly in the eastern region of the country, on multiple trips. Their longest trip was eight weeks and the shortest two. They drove from Hatay to the Black Sea region and from central Anatolia to Van, Hakkari and Kars all for the book. "We covered about 15,000 miles, looping back again and again to places we had visited and added new stops on every research trip. Some of our favorite places are Sinop, Çamlıhemşin, Antakya, Siverek, Diyarbakır and the entire Northeast, which is incredibly beautiful," Eckhard said. When I asked what some of their favorite Turkish destinations from a culinary standpoint were, she said: "We absolutely love seafood, so Sinop and the Black Sea region come out on top, especially during fishing season. We love Hakkari and Van - the scenery, the big open spaces, the friendliness and generosity of the people. Hatay is fascinating, with its mix of cultures, and the food is so good." While on the subject of food, I asked Eckhardt what some of her top picks were out of the recipes in the book, to which she shared, "The meatballs with pumpkin and spice butter, a recipe from Hakkari, chili cheese flatbreads from Hatay, pan-fried little fish from the Black Sea and my attempt to replicate otlu peyniri, a high-pasture herbed cheese, are among my favorites." I also asked her if they had any surprises during their journeys in Turkey, to which she said: "We were astonished the first time we met someone on the road, and he immediately invited us into his home to eat and spend the night. But that is the hospitality of Turkey, and it became normal to us. That said, we never stopped being amazed by the generosity of strangers and their willingness to give time, food, instruction in how to make a dish, to dictate a recipe and to put up with my very mediocre Turkish," she smiles, going on to say: "We did come away with photographs and stories and recipes, many of which found their way into the book. But mostly we came away with the realization that honestly, Turkey is perhaps the most welcoming country on earth. Cited as one of the "Top Ten Cookbooks for Fall" by Publisher's Weekly, and Epicurious' "Best Cookbooks to Buy this Season," "Istanbul and Beyond: Exploring the Diverse Cuisines of Turkey," hits the shelves Tuesday, Oct. 10, though it was available for pre-order on Amazon, Barnes & Noble and IndieBound. From Oct. 17 to Nov. 30, Eckhardt and Hagerman will be on tour in the U.S. The tour will include book signings, presentations, demos, cooking classes and collaborative dinners at restaurants. Check out the book's website istanbulandbeyondcookbook.com for a list of the events.